If you’re lucky enough to work in one of those offices where gluten–free fig bars and pita chips are part of your bonus structure, save this post for the weekend. 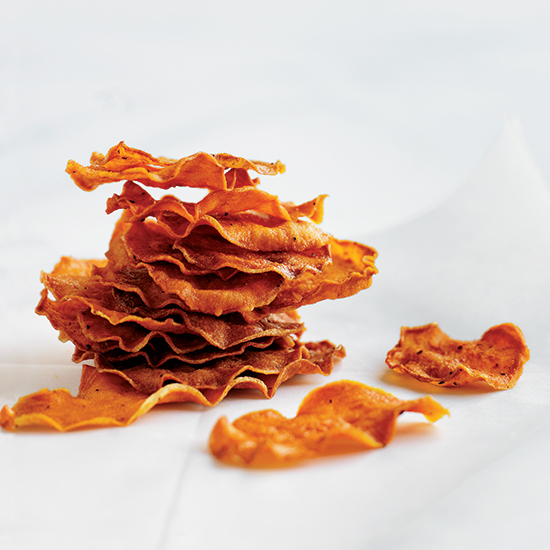 The rest of us start scavenging on weekday afternoons for something crunchy, salty or sweet. Here, five super-easy recipes for those who crave something savory. If you’ve been using chickpeas just for hummus all these years, you are missing out. All those rumors of a kale shortage have been exaggerated. You’re in no danger of losing out on this superfood snack. We wish they would make solid pieces of Sriracha to snack on, but until they do these are a great alternative. The only popcorn worth eating is popcorn you spice yourself. Once you try these you may never tear open a greasy plastic bag of sour cream and whatever chips again.